Sensual DIY Massage Oil: Perfect for Valentine’s Day! 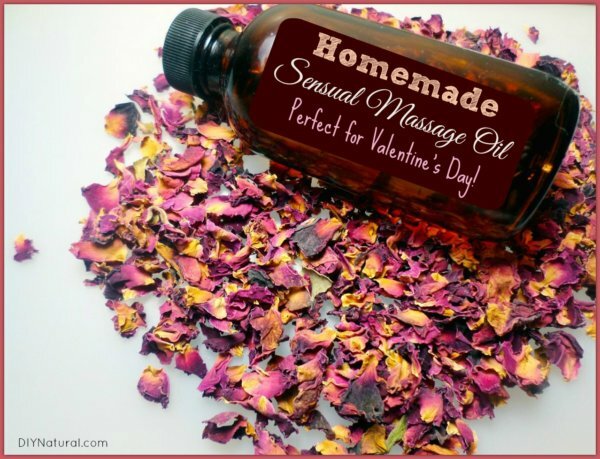 Valentine’s Day always used to be a struggle, until I came up with this homemade sensual massage oil! It’s sensuous and romantic without being too girly. I’m always searching for the perfect gift to get my husband without breaking the bank. He loves sports and snacks, so I normally choose one of those two things for inspiration. However, this year I wanted to do something extra special. Since my husband has a very physically demanding job, he’s always complaining of a sore back or sore feet. I thought the perfect treat for him would be a relaxing massage with some homemade sensual massage oil. He’s not a huge fan of “girly” smells, so I wanted to keep the blend as manly as possible, while still keeping the scent romantic and relaxing. I made a list of some Valentine’s Day Aromatherapy Blends a while ago, but none of them seemed quite right. My husband thought they all smelled pretty girly, so I knew I needed to up my game. I love using oils that have aphrodisiac qualities and there actually aren’t very many of them. I chose two aphrodisiac oils and two relaxing and uplifting oils to make a well rounded Valentine’s Day sensual massage oil. 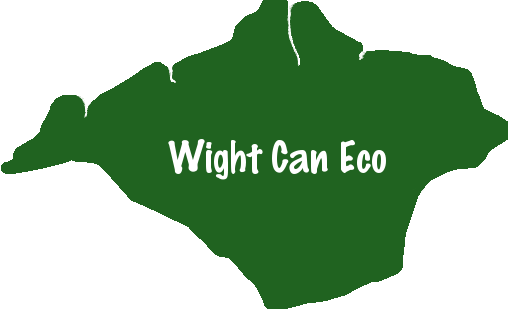 This blend has a base of sandalwood essential oil. This oil smells woodsy and manly, but it has a sweet floral undernote. It’s fantastic for the skin and helps to calm anxiety. Additionally, sandalwood essential oil is typically used to combat stress and relieve tension. My husband always says sandalwood is one of the most “manly” essential oils and he even uses it in his soap and styling cream. To add a slight floral note, I chose geranium essential oil. This oil smells like roses and comes on quite strong, so less is definitely more. However, geranium essential oil has many great properties. It’s a powerful antidepressant, wonderful skin balancer, and works as an anti-inflammatory. Another slightly floral essential oil, ylang ylang helps to bring out the more fruity notes of this blend. It’s also an antidepressant and has been recognized as a stress and anxiety reducer. Like sandalwood essential oil, ylang ylang is also an aphrodisiac, making it perfect for any sensual massage oil. To balance out the floral notes of geranium and ylang ylang essential oils, I added a few drops of sweet orange essential oil to the blend. This oil is a great mood lifter and promotes positive energy. It helps cut through the thickness of the other three oils and gives this blend a bright note. Combine essential oils and carrier oil in a 2-ounce amber bottle (like this). Cap and shake well to mix. Pour a dime-sized amount of the blend into your hands. Massage gently on your loved ones back, chest, or feet. This blend goes on smooth, so remember that a little goes a long way. Do not use this blend internally, on sensitive areas, or on broken skin. If you are lacking in the massage know-how department like I am, there are some amazing tutorials on Youtube. While you are there, make sure to follow DIY Natural. If you strongly dislike floral scents, omit the geranium essential oil and replace it with 2 more drops of sweet orange essential oil for a more citrus-like scent. Sensual DIY Massage Oil: Perfect for Valentine’s Day! was written by Katie Vance.